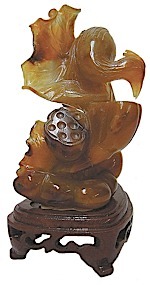 Item #A-40: 4.5"x5" tall Butterscotch Agate with Carnelian highlights Sculpture of one Beauty holding a peach, and another Beauty holding a serving tray. Mounted on 2" Black wood stand. 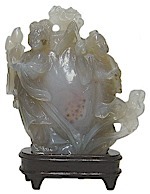 Item #A-17: 4.5"x5" tall Smoky Gray and Light Blue Agate Beauty holding flowers and Child holding plume. Mounted on 1" tall wood stand. Item #A-35: 4"x5" tall Butterscotch Agate Beauty holding flower and fan, Child holds serving tray. Mounted on 1" tall wood stand. 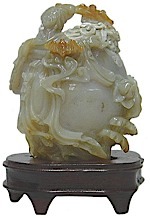 Item #A-23: 3.25"x4" tall smoky gray and light blue Agate beauty,child and stork. Mounted on 1" tall wood stand. 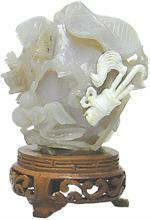 Item #A-44: 2.625"x3.5" tall White Agate with Gray & Carnelian highlights Beauty with Bats and Flowers. Mounted on 1" tall wood stand. 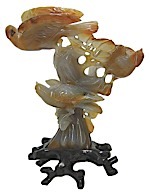 Item #AGT-BD-5: 3"x5.25" tall Butterscotch and Carnelian Agate Bird on Lostus Blossom. Mounted on 1.5" tall wood stand. 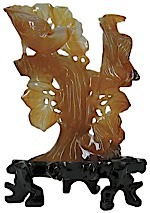 Item #AGT-BD-9: 3.25"x7.75" tall Tan and Butterscotch Agate Sculpture of three birds on a branch. Mounted on 1" tall wooden stand. 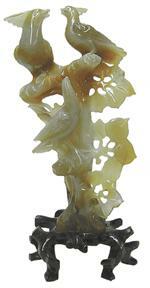 Item #AGT-BD-4: 4.75"x6.5" tall bluish Gray, Tan and Butterscotch Agate Birds perched on a limb. Mounted on 1.25" tall wood stand. 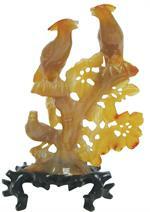 Item #AGT-BD-3: 4.5"x6.5" tall Butterscotch, Gray and Carnelian Agate Birds perched on a limb. Mounted on 1.25" tall wood base. 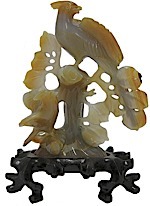 Item #AGT-BD-7: 4.75"x7.5" tall Tan, bluish Gray and Carnelian Agate Sculpture of three Birds perched on limbs. Mounted on 1.25" tall wood base. 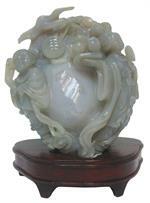 Item #AGT-BD-6: 4.5"x6.75" tall bluish Gray and Carnelian Agate Sculpture of three Birds perched on limbs. Mounted on 1.25" tall wood stand. 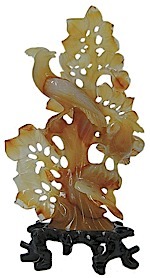 Item #AGT-BD-2: 4.25"x7.5" tall Tan, Cream and Carnelian Agate Sculpture of Birds perched on limbs. Mounted on 1.25" tall wood stand. 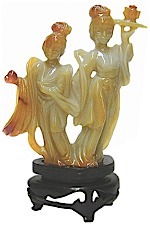 Item #AGT-BD-10: 3.25"x7.25" tall Cream and Butterscotch Agate Sculpture of two Birds perched on a limb. Mounted on 1.25" tall wood stand. 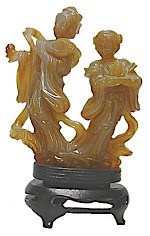 Item #AGT-BD-8: 3.75"x7.25" tall Carnelian Agate Sculpture of two Birds perched on limbs. Mounted on 1.25" tall wood stand. 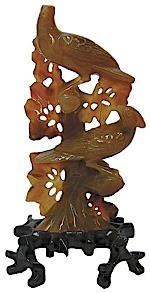 Item #AGT-BD-1: 5"x6 7/8" tan and carnelian Agate sculpture of three birds perched on limbs mounted on 1.25" tall wooden stand. 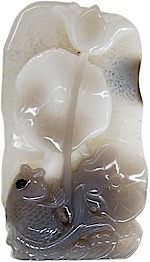 Item #GS-956: 2.25"x4.25" tall, White, Brown and Gray Agate Fish & Lotus. 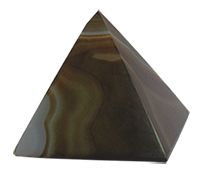 Item #4: 3.75"x2.75"x4" tall bluish Gray Agate with White Agate Sculpture. Mounted on 1.5" carved wood stand. Item #MN-H20-90: 3.25"x2.75"-3.5"x3.25" Drusy Agate flower. Shape and color varies. Item #Ms-2221: 2"x2.25"-2.5"x3" Drusy Agate flower. Shape and color varies. 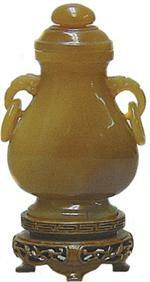 Item #1: 5" tall Enhydro Agate Birds & Gourd; Mounted on 1.5" tall wood stand. 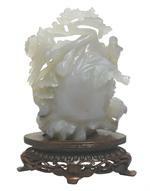 Item #6: 3.25" x 4" tall Enhydro Agate Grapes & Gourd; Mounted on 1.5" tall wood stand. 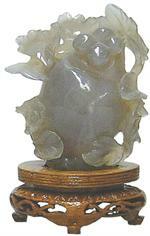 Item #JP-H17/18: 4.25" tall Pearl Agate Bears on a 3/4" tall Black Basalt Base. 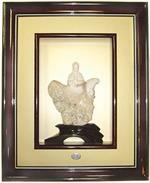 Item #JP-PAQ-12: 6.5"x7.5" Pearl Agate Kwan Yin on 7"x2" base in 17.75"x21.5" Mahogany frame.